Assessment areas: On site, south to Tully, west to Mount Garnet, Ravenshoe, Atherton Tablelands, north to Mossman. Daintree and encompassing all areas in Far North Queensland . Steve Quick is an Independent Loss Assessor with over 14 years experience in the assessing of damaged motor vehicles having been employed by major insurance companies along with 25 years previous experience as a Trade Qualified Panel Beater & Smash Repair Workshop Manager. ln this time Steve has established a reputation for honesty, reliability and professionalism. He takes pride in providing an accurate and reliable service to clients within a short time frame. If needed assessments can be completed the same day depending on location. Steve Quick Assessing is able to complete digital assessments Australia wide, and onsite assessments in Cairns and surrounding areas. 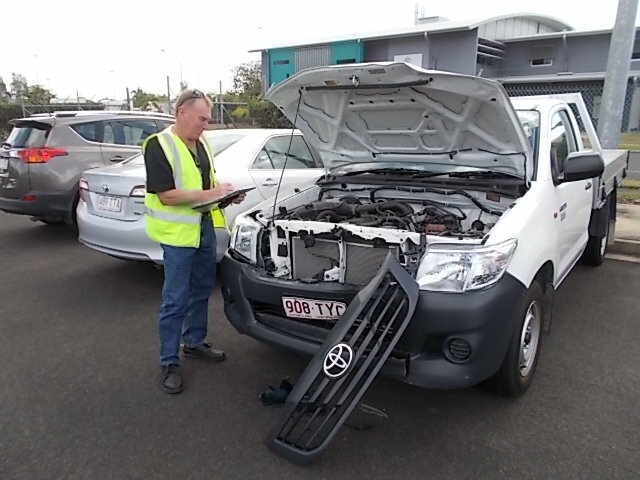 Steve assesses motor vehicles, light and heavy commercial vehicles, plant and machinery, prime movers and semi trailers, motorcycles and caravan’s.